After much looking at the options and cost of having the webinar during our Nashville Body Odor and Halitosis Meetup, it appears that the best option may be to make them into two separate events. There are two main reasons for this decision, and that is because a conference room and equipment would be costly, while it would probably be easier and more comfortable for everyone to participate in the webinar on our own computers. The second reason is because a meetup can be a very life-altering experience at a socio-emotional and spiritual level, and there simply would not be enough time to fit in a webinar in this process when some people can only stay for one day. By doing it separately, we can give our undivided attention to each and perfect each one as much as possible. If the 2010 International Body Odor and Halitosis Webinar Series is held at a later time, the only expense would be to get a good webinar host program, for which we would need to fundraise. We could present one expert at a time with the whole community from around the world joining the meeting from the comfort of our own homes. This way, there would not be any time restraints and the expert can feel more at ease in the process. 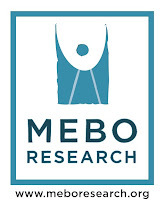 Each expert will be asked if they consent to being recorded while doing the presentation, and if so, it will be permanently presented in the MEBO Research website. The webinar format and schedule has yet to be decided but is hoped to be a few webinars in the springtime. So far one has agreed to a webinar for sure, another couple seem very likely to agree to give us a slideshow, and another 4 could be possible guests as well. Hopefully this will establish a rapport between experts and sufferers. During the meetup as we discuss our conditions, usually many questions arise. I will be making a note of these questions and may present them to our experts before their presentation so they may address them if they choose to do so. Each expert will be asked if they would also like to have a Q & A session after their presentation, and perhaps later in the year a panel of experts could do a Q&A session with the viewers much like was done at the TMAU Workshop in 2002. We will have to see what experts feel comfy with.